I am pleased to be writing to you as the new President & CEO of the Connecticut Food Bank. I am grateful for the opportunity to lead an extraordinary team of volunteers and employees who are tackling the problem of hunger each and every day. It's great to be in Connecticut to share our important mission to provide nutritious food to people in need with so many friends and family. Thanks to your support, the Connecticut Food Bank is the state's non-profit leader in the fight against hunger and largest provider of charitable food donations in Connecticut, distributing enough food to make 46,000 meals a day. This is no small task as 300,000 people, including 100,000 children, depend on our network of nearly 700 critical, local food-assistance programs as a lifeline to nutritious food. As a supporter of the Connecticut Food Bank, I know you share my passion for feeding our neighbors in need. I look forward to updating you about new initiatives as we lead the way to develop innovative programs and partnerships to better meet the needs of the people we serve. 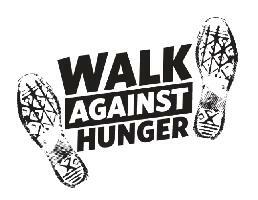 Visit our Walk Against Hunger site for list of dates and locations.